What Happened To Audiogon.com and Will It Get Repaired? Audiogon.com began in the mid-1990s as a free site where audiophiles around the world could exchange ideas, seek input from others and, most importantly, to buy and sell gear. Over the years, the site has become a powerhouse of the audiophile community. 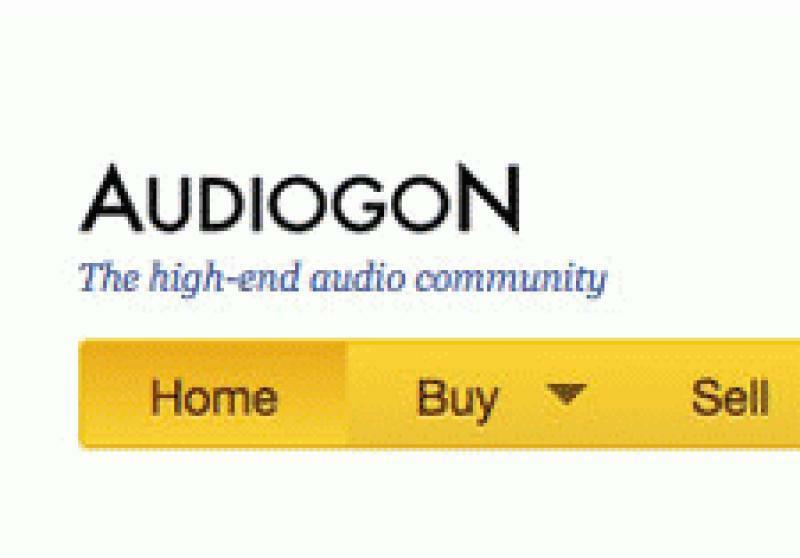 Checking the "New Today" section on Audiogon.com was a morning ritual for many bargain-hunting audiophiles, with many of the Audiogon.com discussion forums used for lively and helpful banter. Like it or not, Audiogon.com changed the audiophile business and hobby forever. • Find more original commentary like this in our Feature News Stories section. • Learn more about the dilemma of the online shopper. In January of 2012, Audiogon.com launched an update that has left many of its users scratching their heads. Before the update, users could privately message other individuals to ask for input or their opinion about a piece of equipment that one owned and the other was considering as a purchase. Now this site function is gone, leaving consumers unhooked in a world driven by social networks. Make no mistake - Audiogon.com is a social network, even if many of the people networking there are, with respect, a bunch of audiophile nerds. The motives behind the move seem pretty clear. Audiogon.com started as a free site - that is, until you wanted to list an item for sale. Audiogon.com earned the right to charge a fee per listing because they had built up such a loyal, large and involved readership. Customers still got fair value for their listing fees, just as they do at places like eBay.com. Thanks to these small fees, the site continued to grow. Over the years, the owners implemented a commission program, much like those found at art or automotive auction houses. Now, the site owners not only wanted their listing fees, they also wanted a piece of the total sale. It didn't take long for users to express their displeasure with the new commission system. However, few left or stopped using the service because, simply put, eBay.com is just a little too mainstream for big-ticket audiophile components. Some users figured out that they could circumvent the system by dealing directly with their potential buyers, thus cutting Audiogon.com from their commissions. This is why Audiophile.com has implemented the restrictive system that they have in place today. Emails and phone numbers are often edited from posts made in response to queries, forcing users to go through the new, closed-ended system. The problem is that the site administrators are killing the goose that laid the golden egg in hopes of eking more profit dollars from each listing. The new Audiogon.com site doesn't disappoint merely in terms of reduced communications. The site's web design and user interface is pure 1996, with the added insult that many links simply do not work. Logging into your user home page takes you to the home screen, instead of doing what it used to do, which was to bring you to your own home page. Users now have to load extra pages to get where they want to go. Audiogon.com has added Google network banner ads to each page, which helps them with ad revenue, but doesn't help with the user interface or experience. The "New Today" section, one of the most popular pages on the site, is now fractioned into multiple pages, which causes additional frustration for the user. One historically fantastic feature of Audiogon.com was the ability to search for items, products and so on. The search function is still in place, but with the update, it's now much more cumbersome than it used to be. In the past, items used to pop up sorted by type of equipment. Amplifiers had their own section, as did preamplifiers, speakers and so on.. Now, all items from a brand search are randomly displayed, regardless of category of component. The search requires you to sort them by type, adding another page view and thus weakening the user experience. At the recent AXPONA show in Jacksonville, Florida, I had the pleasure of joining a dozen members of the Suncoast Audiophile Society for dinner. The new Audiogon.com site came up in the conversation and I was surprised by how negatively the revamped website was viewed by the group. Everyone admitted to previously trawling the "New Today" section at least a few times a week, while many admitted to checking it daily over their morning coffee. I quickly found out that nobody in the group was using the site as they had done before the transformation. Most hadn't been on in days, or had stopped entirely, as the user experience was so diminished. An April 22, 2012 Alexa search for Audiogon.com showed a 30 percent drop in page views and a 22 percent drop in page views per user over the last three months since the new website was unveiled. This doesn't factor in how the new design splits up long pages into multiple pages, so the drop is even larger than would seem. Rumors of slower sales and the obvious drop in activity of the discussion forums are all over the Net. Alexa isn't the be-all and end-all of web statistics, but the Amazon.com owned site is good for tracking trends and the trend with Audiogon.com isn't a positive one. Audiogon.com used to be a place where audiophile enthusiasts like myself and many others didn't just build just killer stereo systems - we built friendships as well. We shared our experiences in audio from all walks of life and parts of the world that gave birth to a true online community. Today's Audiogon.com sadly lacks that sense of community. I met Bryan Southard, the former editor of AudioRevolution.com, via Audiogon.com, which not only started my writing career for the company over ten years ago, but also a personal friendship with Bryan that is strong to this day. Is Audiogon.com still a good place to sell your audiophile components? It is, without question. It's better than eBay.com for higher-end products. Where the long-term damage comes in is that, as the traditional audiophile ages, the community weakens. At the same time, in a world where Facebook is at the center of the second largest IPO in Wall Street history, Audiogon.com is acting like a Goldman Sachs banker trying to eke every penny of profit from their investment, while throwing the baby out with the bathwater in terms of their users, their site's user experience and their overall community. It's time that Audiogon.com takes some of their new revenue stream and hires a graphic designer, as well as a web developer who understands what made the site powerful in the past and moves the site into the twenty-first century. Right now, Audiogon.com is in deep trouble, as is the audiophile community that has depended on the site, because of the direction that they have taken with the property.